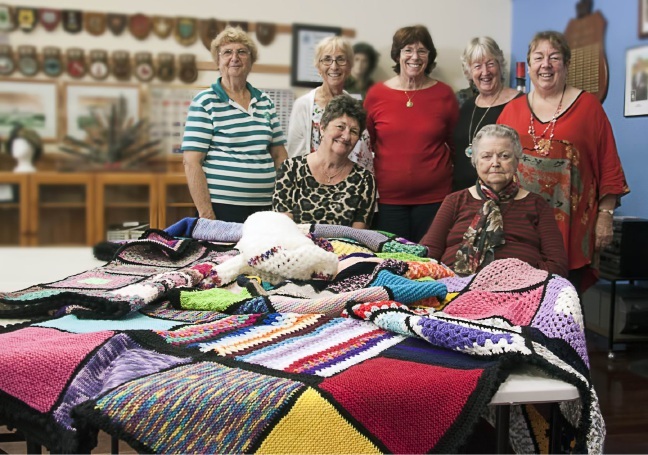 MEMBERS of Port Bouvard Craft Club have knitted or crocheted nine rugs in a range of colours over the past six or eight months. The rugs have been donated to Mandurah Women’s Shelter in time for the cooler weather. Some of the yarn has been donated to the group which meets at Port Bouvard Sport and Recreation Club every Thursday between 9am and noon.